If you are not a beer drinker you may have missed a profound shift in the adult beverage marketplace. Business for the Big Beer brands has gone flat. 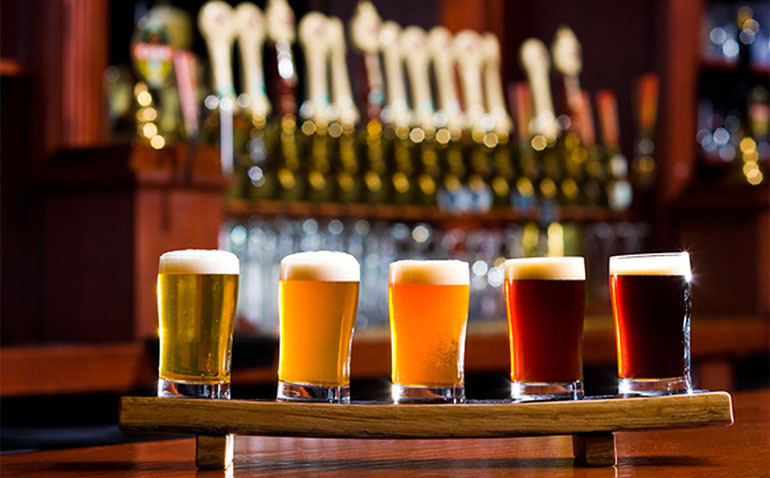 Overall beer sales are doing fine but all the excitement and growth is in craft beer – especially the small batch brewers which are sprouting up at a rapid pace. Since 1989 the number of breweries in the U.S. has exploded from 89 to 4400, with industry watchers expecting the total to hit 10,000 over the next five years. Even craft pioneer, Sam Adams is struggling against the rapid proliferation of small batch local brands. This is good news for beer aficionados and also for economic developers (more on that later). Beer is not the first billion dollar beverage to see its economics turned upside down. As a way of explanation, the craft brewers are now doing to Budweiser and Miller what Starbucks did to Folgers and Maxwell House. The keys to success for consumer products in the industrial era were branding, massive scale and distribution. Bigger was better and the advent of radio and TV helped create national brands that consolidated and then dominated their respective industries for decades. But times have changed and those industrial rules don’t seem to apply in the 21st century. There is much to learn from Starbucks’ journey from coffee shop to coffee juggernaut. The Starbucks saga began with a mash-up of business models – part good product, part onsite production, part customer experience and part community connection. This proved to be a winning formula as millions of Gen Xers and millennials, it turns out are quite willing to wait longer and pay more to have a highly trained barista prepare and serve an espresso macchiato or double cinnamon latte. Call it the “experience” factor. Starbucks took that “experience” factor and turned it into an $80 billion business with 191,000 employees – that’s 25,000 more workers than Ford Motor. At the heart of today’s economy are the 20, 30 and 40 somethings and what matters to them. Perhaps it is pushback against the Dilbert world of cubicles and computer screens but regardless the post-industrial generations seem to crave all things authentic and organic. Show them an empty warehouse and they are most likely to imagine a venue for live music, food and drink. It is not by accident that hundreds of start-up breweries and distilleries across the country are repurposing dormant industrial buildings for their new enterprises. It is a super cheap form of capital and it has been instrumental in reinventing underutilized urban spaces across the country. These craft entrepreneurs continue to embrace and expand on the Starbucks formula. To good product, onsite production, customer experience and community involvement you can add food and tourism as breweries have become a destination for travelers and serious fans of craft beer. Mark Henderson, Mayor Gilich and The Atlantic magazine are spot on. If Mississippi towns and cities are going to keep pace in the 21st century they need regulatory frameworks that are friendly to post-industrial entrepreneurs and the businesses they create. Note to readers: The 2nd Annual Mississippi Craft Beer Festival will be held on Friday, June 24th in Jackson on the grounds of Duling Hall – a repurposed elementary school(circa 1928), in the Fondren Entertainment District.